Once a vital part of the city's bustling port, Otaru Canal serves as a popular destination for waterside strolling and enjoying the outdoors. Wander along this restored historic canal, dating back to the early 20th century, to explore its many repurposed warehouses, which house restaurants, shops, and museums. You'll find the promenade lined with Victorian-style gas lamps, as well as numerous brick buildings from as early as the 19th century. 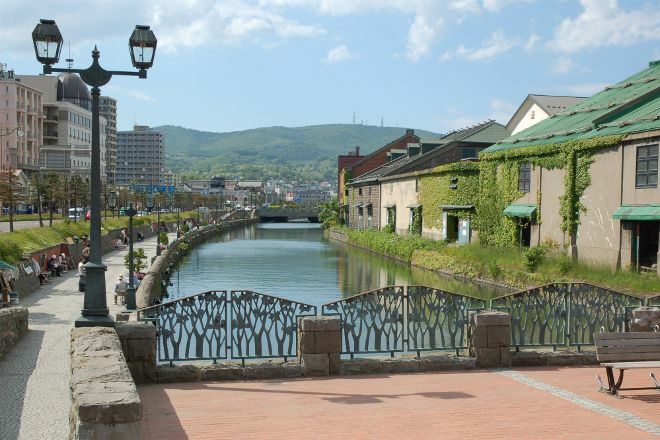 Work out when and for how long to visit Otaru Canal and other Otaru attractions using our handy Otaru road trip site . Is there a bus from the train station, I walked. 10-15 minutes. There are numerous food and beverage outlets, around the Canal. Pretty place in the winter. Both sides of the canal full of snow. Amazing scenery! Came in the morning so less people. Feel in peace. Would come again to try the seafood next time since most of the shops are closed in the morning. The ice festval was great and Otaru is a charming city. If you have time during winter at the festival period, explore this! Otaru is accessible via bus and train (About 1 hours) from Sapporo and can be a really nice detour. Winter is cold and even colder when not being in a big city, though, so don't forget your jacket. It is sort of scenic. Definitely crowded. Otaru brew House is ok good beers and a wide variety of of food......not really much in the way of an attraction. Makes for some good photos on the canal as the sun sets. A great place to take some pretty pictures! But it can be hard to really enjoy the view because canal is usually full of people. There are couple of parking lots available nearby. And there are many gift shops and restaurants in walking distance as well. The view is quite nice especially during winter. If you want to take a picture of yourself with the canal then come in the morning or afternoon. The view at night is better as they have illumination but because its dark, you can't really see your face. Every day, we help thousands of travelers plan great vacations. Here are some tips on how to use your Listing Page to attract more travelers to your business - Otaru Canal. Promote your permanent link - https://www.inspirock.com/japan/otaru/otaru-canal-a963686329 - on your website, your blog, and social media. When a traveler builds a plan from this page, the itinerary automatically includes Otaru Canal. This is a great way for travelers looking for a great vacation in your city or country to also experience Otaru Canal. Promoting your link also lets your audience know that you are featured on a rapidly growing travel site. In addition, the more this page is used, the more we will promote Otaru Canal to other Inspirock users. For best results, use the customized Trip Planning Widget for Otaru Canal on your website. It has all the advantages mentioned above, plus users to your site can conveniently access it directly on your site. Visitors to your site will appreciate you offering them help with planning their vacation. Setting this up takes just a few minutes - Click here for instructions.